Memorial service for Debra L. Leaphart of 3527 Charleston Hwy. Lot4, West Columbia will be held at 2:00pm Sunday, October 14, 2018 at Lexington Community Center, 104 Allen Street, Lexington, South Carolina 29072. 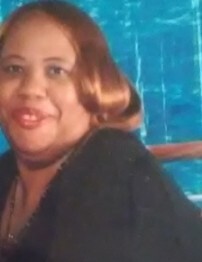 She is survived by her loving sisters: Brenda Ann Leaphart and Margaret "Bob" Leaphart; brothers: Wallace Leaphart, Calvin Niles, Travis Niles and Ed Niles; nieces: Jessica "Nikki" Leaphart, Lesha Leaphart and Ashley Leaphart; nephews: Terrance "Andy" Leaphart, Tyler Leaphart, Wallace Leaphart, Jr. and Jordan Leaphart; a special nephew: Damond (Kathy) Davis; a special cousin: Shang Strother; Brenda Ann's son Michael was a devoted god so to Debra and he called her "Mom" and there are many other relatives and friends who will miss her greatly.